The WGW1002G was designed to meet the needs of SMB by offering them low density (2-port) GSM interfaces with competitive price and small size. It takes full advantages of the stability and flexibility from the Voxstack VoIP gateway family in both performance and software. The new WGW1002G GSM Gateway is born to fulfill out current product line and meet various needs from our vast customers. 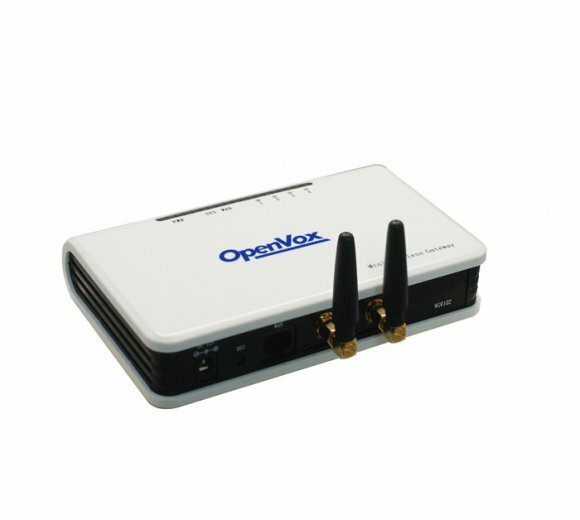 It is a small GSM gateway with hot-swap Design and only supports 2 port GSM interfaces, and it comes with the same functions as the Voxstack GSM gateways, developed for interconnecting a wide selection of codecs and signaling protocol, including G.711A, G.711U, G.729, G.722, G.723, G.726, GSM & SIP, to the GSM cellular networks to quickly reduce telecommunication expenses and maximize cost-savings. Because of small and simple, it can make telecommunication more high quality and stable. The size of WGW1002G gateway is smaller than any GSM gateway. It is perfectly suitable for small family or small business that can benefit from WGW1002G cost-saving, easy-carrying and space-saving. The GSM gateway in a fixed configuration designs with a Lan Switch board that provides steady telecommunication. It supports SMS messages sending and receiving and group sending and SMS to email. The GSM Gateways are 100% compatible with asterisk, Elastix, trixbox, 3CX, FreeSWITCH sip server and VOS VoIP operating platform.